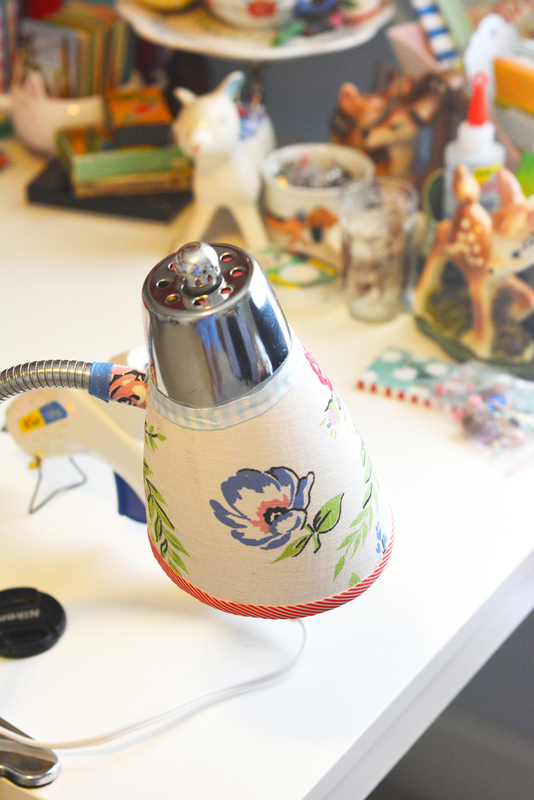 Give an old, beloved clip lamp a facelift with fabric and Mod Podge! 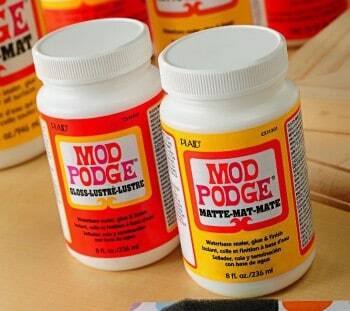 It's a very easy and budget friendly project – and you'll love the results! Hi everyone! 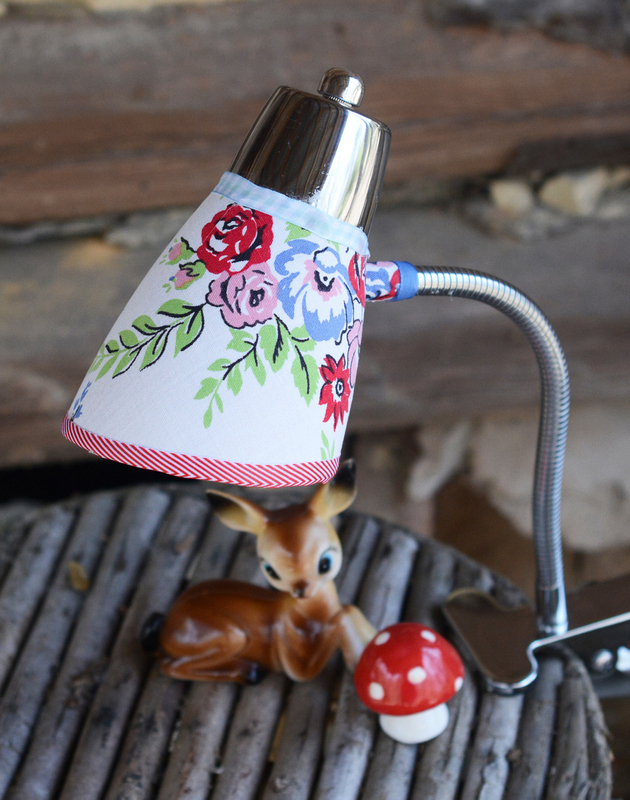 It's Ashlee from My So Called Crafty Life, and today I am here to share a fun lamp revamp using Mod Podge Furniture Gloss. This little pink plastic clip lamp I have had for years! I have used it in my office and in the bedroom as a book light for years. Over time it has gotten a bit scuffed up, and I have been wanting to paint it or cover it. So, I finally decided it was long over due for a facelift and decided to cover it with a scrap of a vintage tablecloth I had in my scrap pile. Check it out! 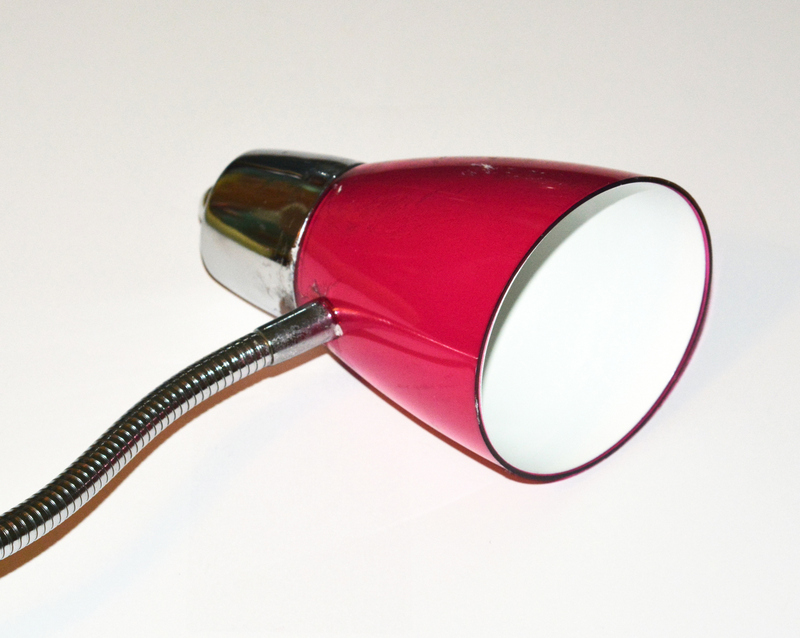 The first thing you need to do is gather your lamp and clean the surface well and dry it completely. 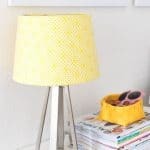 Take your fabric and lay it on top of the lamp shade. Pull it tight around the lamp. Trace the line of where the lamp shade meets the metal area with your pencil to get the arc you need to cut. Next take the fabric and cut along the line where you drew in the arc. 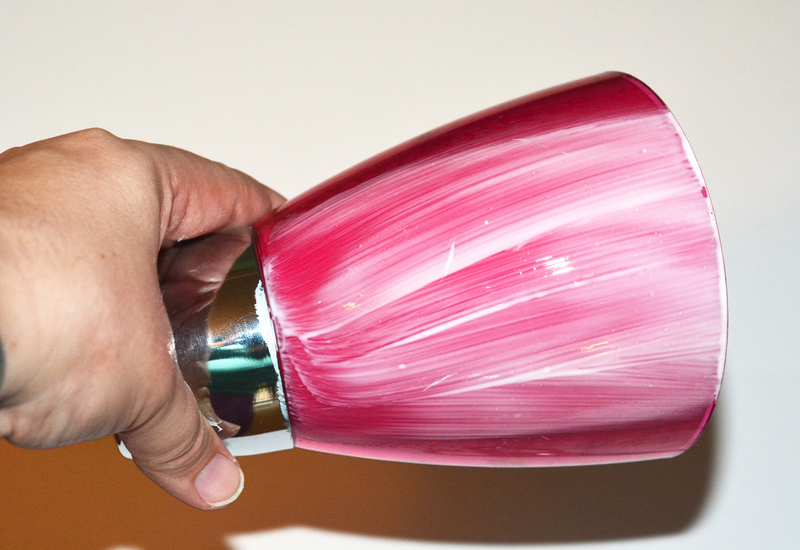 Brush a layer of the decoupage medium onto the lamp shade. 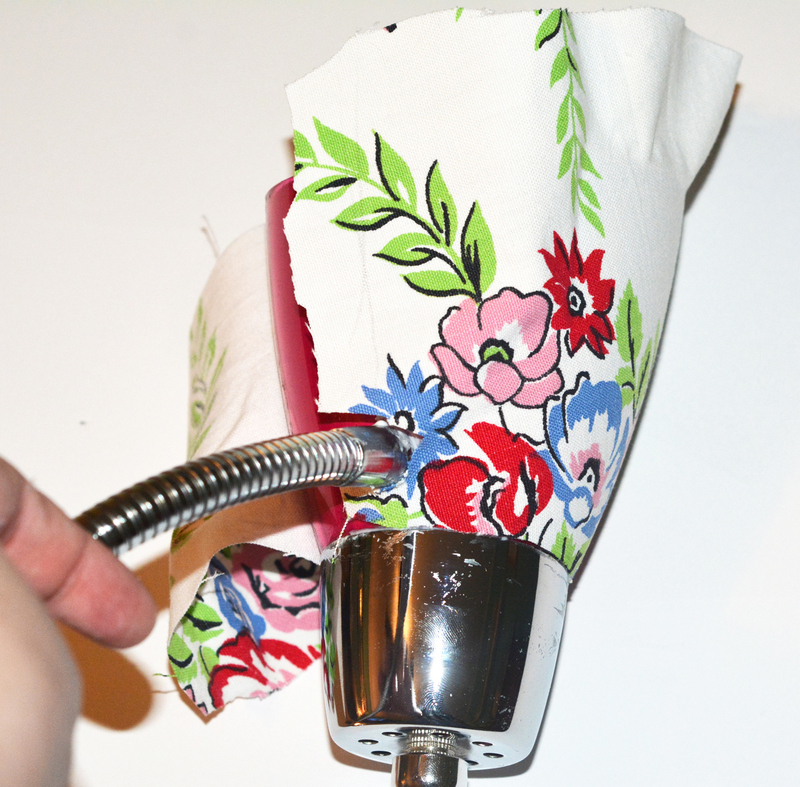 Press the fabric onto the shade and smooth it out. Make sure to line up the cut arc end around the area where the shade meets the metal. Continue to press and smooth out the fabric around the shade. When you get to the back side where the stem is, cut a notch out of the fabric with your scissors. Overlap the ends neatly and smooth down. Now your shade should be covered with fabric and the fabric should be neatly aligned with the small end of the shade where it meets the metal, and then there should be fabric extending over the opposite edge or opening of the shade. Now you need to trim around the opening of the shade. 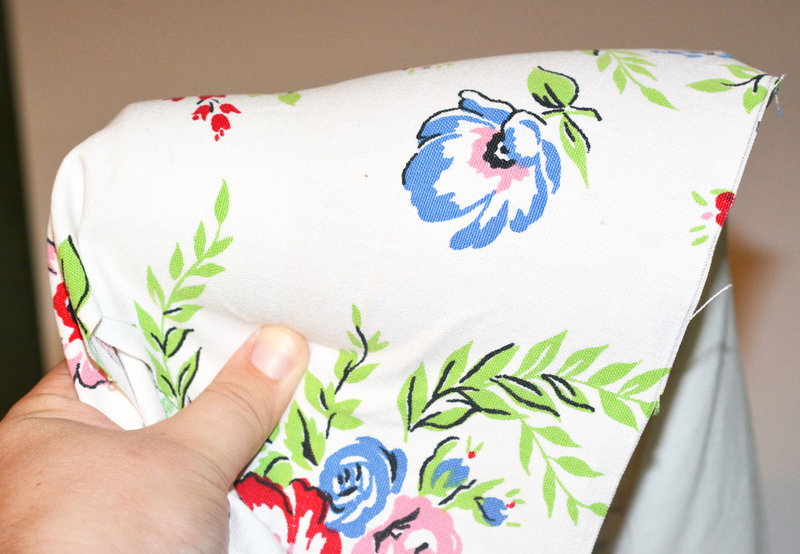 Trim the fabric off as close to the shade as you can. I used my embroidery scissors for this step. 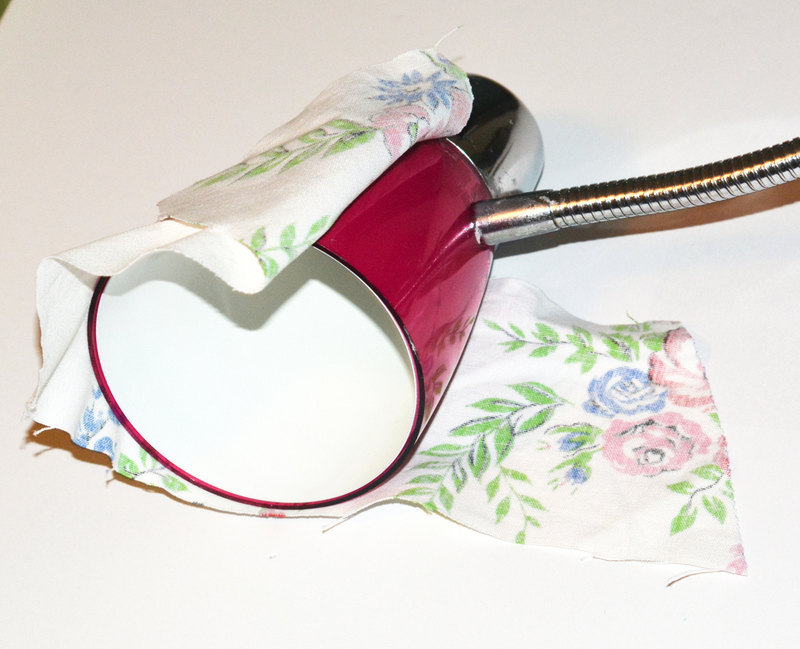 Attach a strip of fabric around the coupler below the shade. 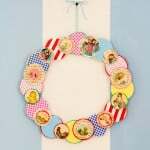 Once the medium has dried thoroughly, you are ready to add your ribbon. 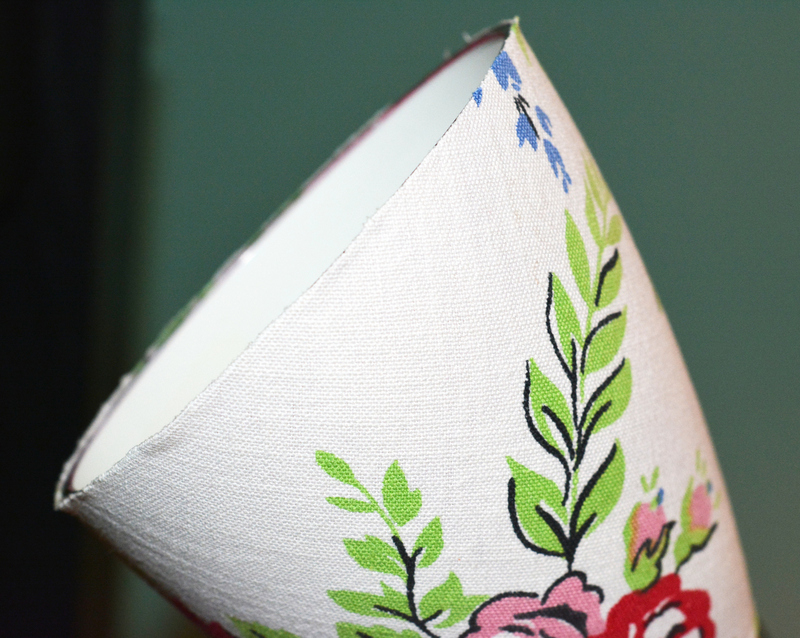 Run a bead of hot glue around the bottom edge of the shade and glue down some ribbon, then do the same thing with the opening of the shade. 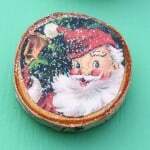 I used a 1″ wide ribbon and glued it on the outside and then folded it in to the inside. I really love how my lamp turned out! 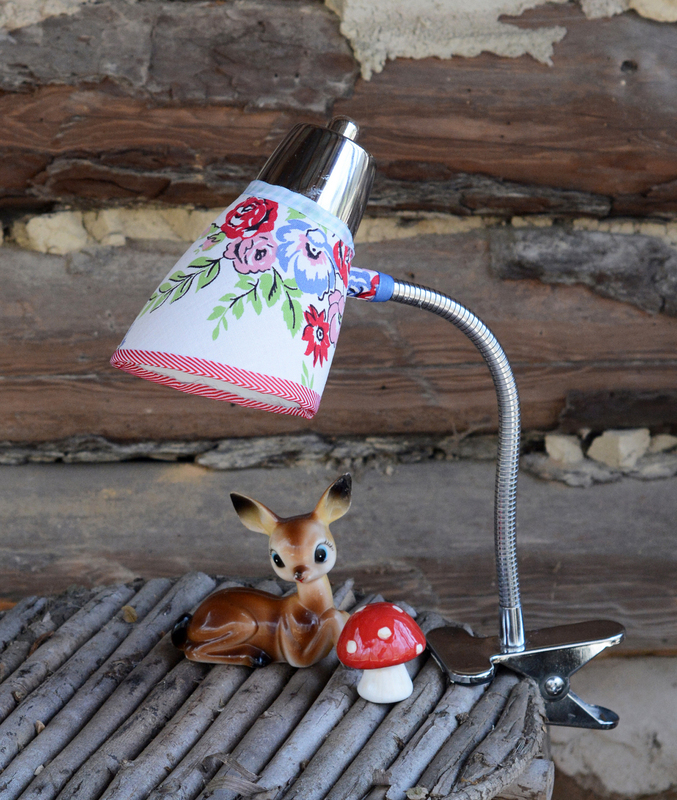 It looks adorable clipped to my side table in the bedroom, and now it actually fits with the decor in my room! 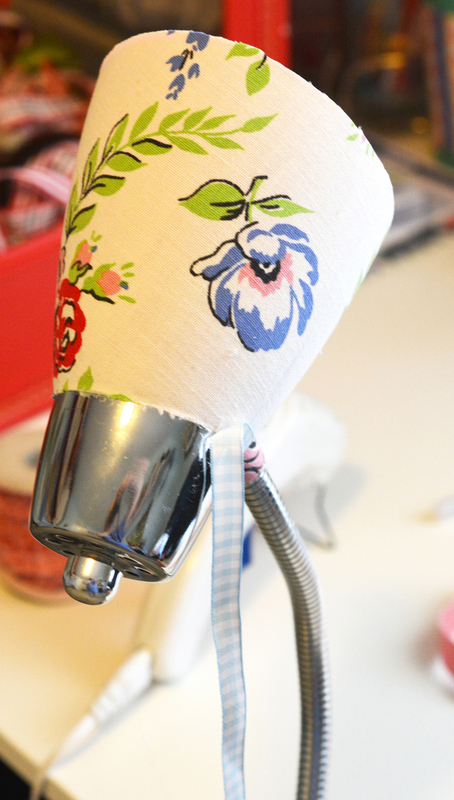 This lamp revamp was seriously easy to do, and it was fast to whip up. It took me about an hour to make. I love how versatile this project is! 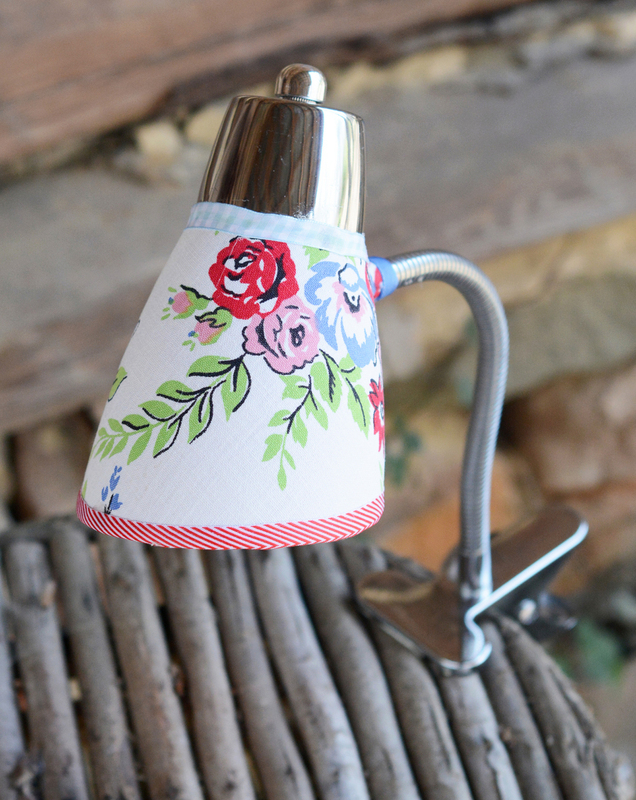 You can really customize it to your style just by the fabric you use. 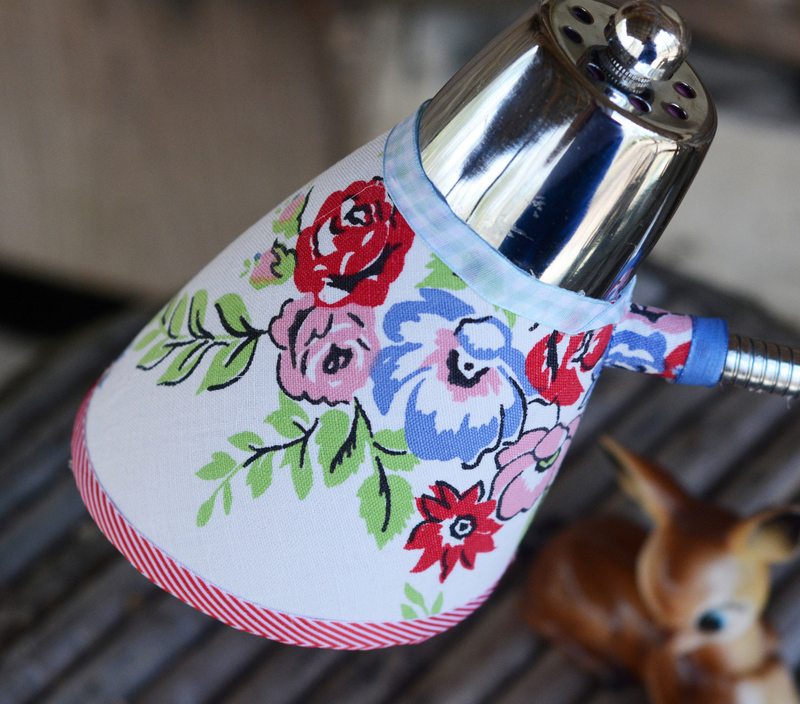 So, if you have an old clip lamp, give it a little update with some fresh fabric. You'll love it!